It is always enjoyable to write product reviews. Happily, bloggers like me -once in a while- might have the opportunity to get this interesting offer. Last month TOSAVE, an online e-commerce company providing huge range of categories products contacted me for such cooperation. Suits the name; every product offered at matchless prices and delivered worldwide without added shipping cost. 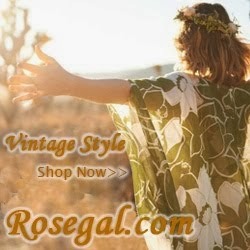 The store gave me a chance to get free items that I like as valued $15 and then share my honest opinion about it. Once I visited the store for the first time, I got overwhelmed with too many options. More than 10 million product ranges provided to you; can you imagine that? Fortunately I was in a search for a casual canvas backpack that time so I was able to focus on my shopping. Finally I chose three items and I was pleased with all of my choices. After one month passed by, my package that came from China arrived (July 10th, 2017). Wrapped securely in plastic bags, every item (a bag, a bathroom mat and a coaster) received in good condition. So here below are my opinions on each item. 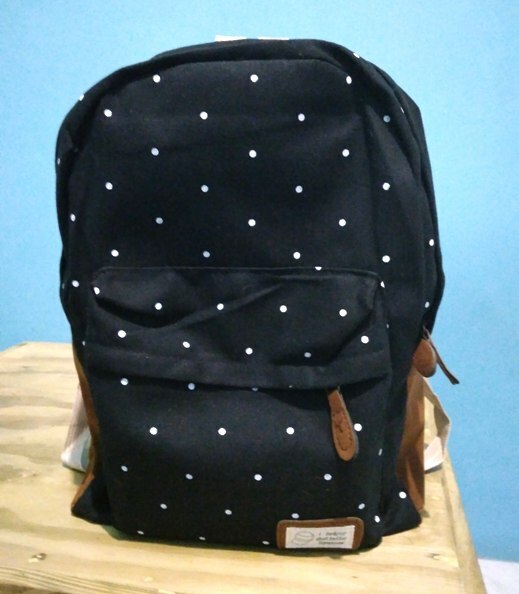 My chosen bag is this casual canvas backpack that looks girly and stylish. 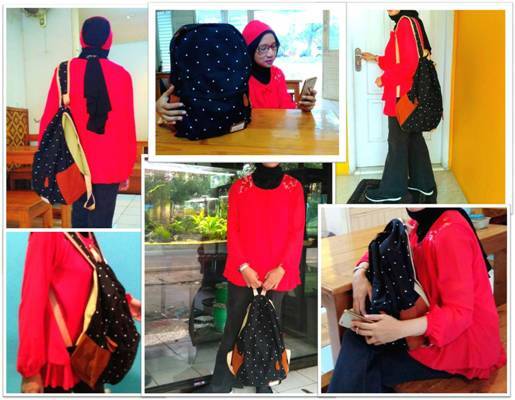 Are you also looking for a backpack for casual occasions? Since bags also include your fashion statement, you should consider the style without neglecting other important factors such as functionality and suitability. The main material of the bag is canvas. I prefer to a canvas backpack as I will wear it for mostly outdoor activities. This fabric is light weight, durable and more water resistant. It can be washed once get dirty. Unfortunately there is no care tag attached in the bag. Available in black, pink and blue but I opt for black that suits many outfits. Printed bags are trendy right now; the dot print looks cute, right? So, this bag meets my needs: black can go well with any color of my clothes and the print makes it stylish. Yeah, black color might cause too much contrast but the white dot print and brown suede embellishments really soften its dominance. With approximate 16.5 inches long and 11.4 inches wide, the bag size is suitable. Not too small to carry my personal items which I usually place in my bag and also not too large for my petite body. The price at TOSAVE is only $8.23. Once you see and wear the bag, you will agree with me. It is very affordable – certainly a good value of money. -Wide and padded shoulder straps are made and sewn well onto the top of the bag as I feel they are comfy on my shoulders and back. -I read in an article about good backpacks; the straps that appear like they were folded a little and form a curve will give better support. I see that though a bit! -The adjustable shoulder straps. Unfortunately, those straps untie with use and I have to fix it frequently. Perhaps it is not a real padding on the back part but when I load the bag with several items till almost occupy the whole interior space; the backpack doesn’t lose its figure against my back. Like other classic backpacks, it has a front pocket, two side pockets, one pocket inside and a spacious interior that opened with full zipper. A full-zipper backpack will permit for easier placing and taking out big items. 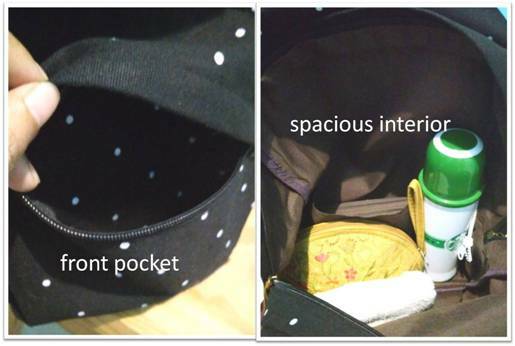 It has no quick access pocket to the interior space so I put the items that often use in the front pocket such as my specs and mobile phone. For me, this storage scheme is already good enough. I don’t need more slots and pockets anyway. I prefer to put small items like pens, cards, keys in a small purse or case separately then place the case inside the bag. I really recommend this backpack based on its good Value, Quality, and Price. From one to five stars as the highest scores, I give five stars on value and price, four stars on quality aspect. 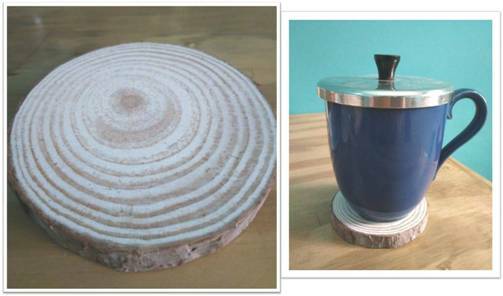 Two other items are a wooden cup mat and a non-slip mat. I really like these items. -Available in five different sizes – you can collect them. I chose the size that suits hubby’s mug. It looks so good, right? Match with our table as well. -Made from sliced natural wood. Nothing can beat the nature. What a wonderful circle pattern! -The price is only $0.82 (diameter 8-10 cm). -I give five stars (highest score) on Value, Quality and Price aspects. Must have product for nature lovers. -Multi purpose: can be used in wet area and dry area. 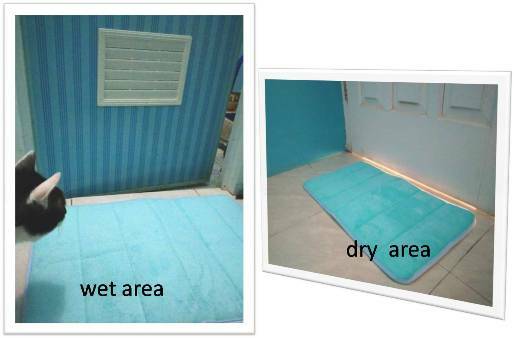 -Microfibre memory foam inside the mat. It can absorb water, dirt and grime well. 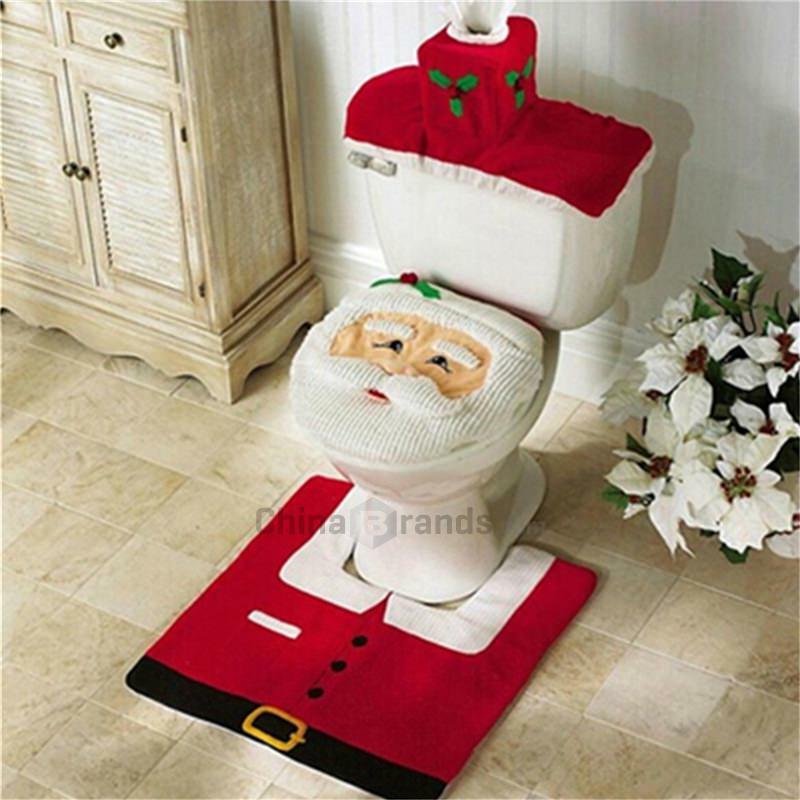 -Non-slip backing for safety especially in bathroom. -Very soft surface made from high quality coral velvet fabric. -The color match with our blue walls and the bathroom door. Anyway, other colors are already sold out. -Proper thickness. Both thickness and softness make my feet comfy. -The price is just $4.37. Good deal indeed. -Another perfect score. Five stars (highest score) on Value, Quality and Price aspects. One more thing, if you are in a quest of high quality human hair extension products, SheInHair is a great place to go. 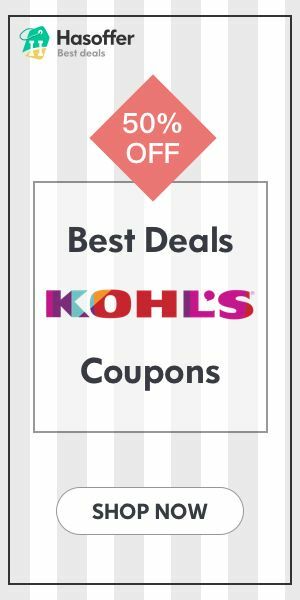 TOSAVE is one of the recommended ways to shop quality items without breaking your wallet. Happy shopping and saving!